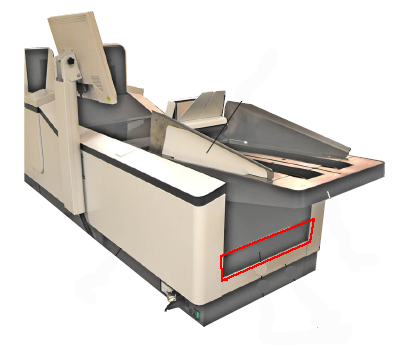 The DS-200 and PD200 use optical sensors to monitor the location of media pieces as they travel though the folder-inserter. These sensors can become obstructed due to paper dust and should periodicaly be cleaned using a non-flammable airduster. 1. 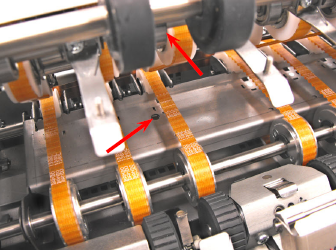 Clean the sensors located in the collation area. 2. Clean the sensors located in the conveyor area. 3. Clean the sonsors located in the closer area. 4. 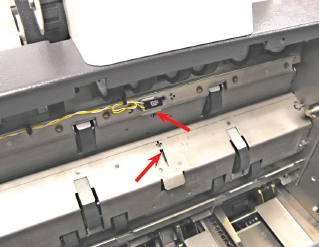 Clean the envelope hopper sensor. 5. Clean the output sensor. 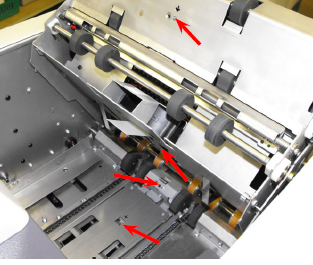 Open the top cover of the inserter. Using a non-flamible air duster, blow off any dust build up on the sensors indicated by red arrows. 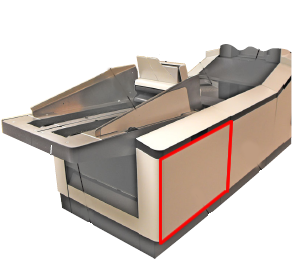 This view shows the collate area facing towards the envelope hopper. 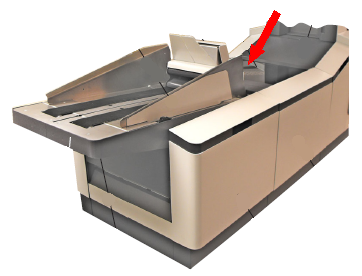 This view shows the collate area facing away from the envelope hopper. 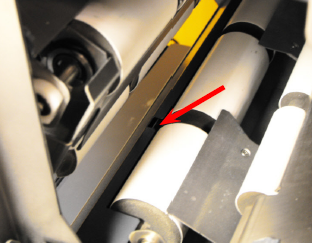 Open the top cover of the conveyor area (furthest away from the envelope hopper). Clean the sensors indicated by the red arrows using the air duster. 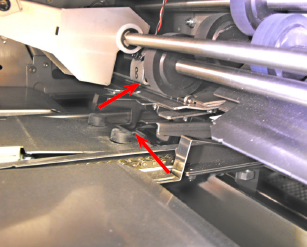 Open the side cover of the inserter. 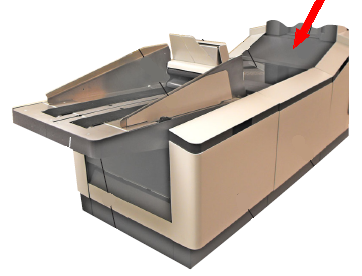 This picture shows the view looking down on the front of the envelope hopper. 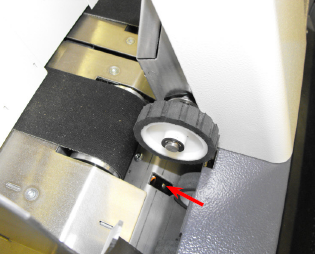 Clean the sensor indicated by the red arrow. Open the front-side cover and the front output cover. Clean the sensor indicated by the arrow.